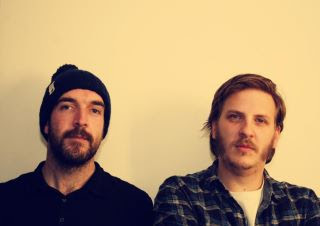 I wrote about Brixton duo Glyphs and their debut EP back in March. They've returned with another EP, five tracks of free electronic music await below. As with the debut effort, it's a mix of styles - taking on dubstep, electronica and so forth. It's actually ended up being a lot like Seal meets chillwave. A bizarre but compelling final result. Unfortunately, they've not really embraced the folkier side of my favourite track of theirs from the previous EP, 'On & On'. So it took me a little while to get into the new material. However, I've warmed to the more spaced out, widescreen electronica of 'Echoes' and the extravagant intro of the EP's closing track 'Written'. Download the whole EP for free below. Find more on Glyphs at Facebook.